Glen Allen Masonic Lodge No. 131 A.F. & A.M.
Est. 1915, Glen Allen Masonic Lodge was started to serve the community of Glen Allen, VA. Over the past 100 plus years The Glen Allen Masonic Lodge has expanded beyond its initial audience, including members of most walks of life, it continues to keep ties with the community and is a staple of Freemasonry in Glen Allen, VA. In addition to our members receiving rites that date back prior to the 17th century, Glen Allen Lodge’s mentor-ship program takes men of good nature and provides them with insight into American and Virginia histories that are not easily researched elsewhere. Our members are avid supporters of The Scottish Rite Childhood Language Center and The Shriners Hospitals for Children. As well as other educational endeavors, including yearly scholarships. 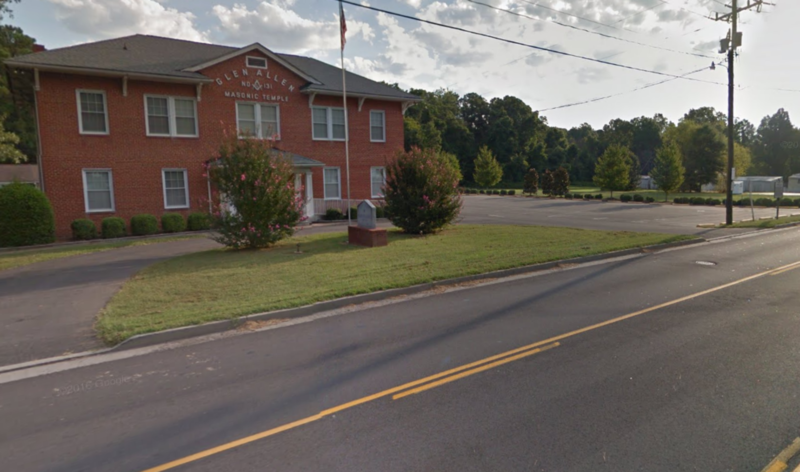 If you would like to know more about Glen Allen Masonic Lodge, or are interested in petitioning for membership, please Click Here To Learn More. This video gives great & inspiring insite of what Freemasonry is, and why men Become Freemasons. It was created by Our Brethren from Massachusetts. Would you like to know about the secrets and practices of the FreeMasons and what the Masons believe? We define Masonry by our Masonic beliefs and our Masonic values. This video helps to illustrate some of the beliefs of Masons around the world, and to help guide you on your journey in determining if joining a Masonic Lodge is right for you. Are you interested in learning more about Freemasonry at Glen Allen Masonic Lodge? Let us know. We are always interested in meeting good men of character who are interested in learning more about Freemasonry. If you are interested in finding out how to join a masonic lodge and becoming a Freemason, we are interested to see if Glen Allen Masonic Lodge is the Masonic Lodge for you.